Between 1912 and 1914, the years that synthetic Cubism developed, Picasso painted numerous portraits. 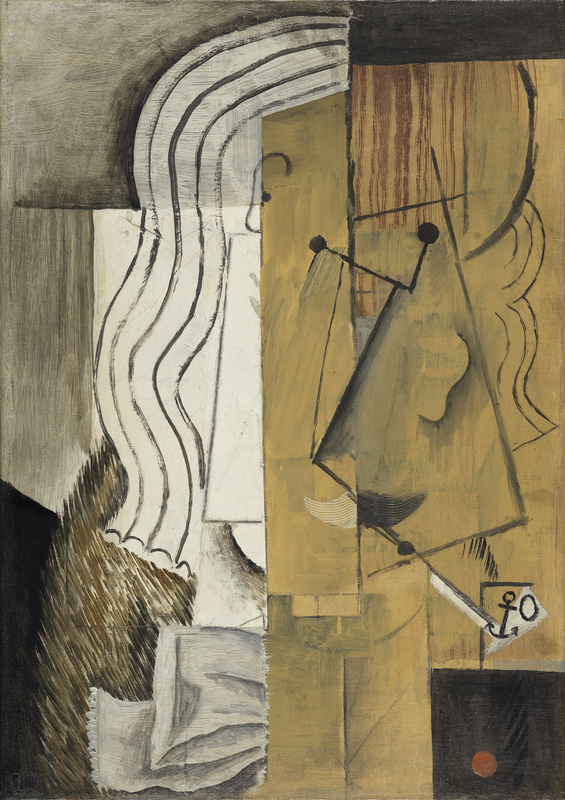 The present Head of a Man in the museum collection, which according to Pierre Daix was executed at the end of 1913, combines the influence of the papiers collés with the new turn Cubist language had taken towards formal synthesis. As can be seen, various flattened parts of the person are superimposed with no references to depth, while the varied textures and a few specific recognisable fragments — such as the moustache, ear, eyes, hair, bow tie and fur collar — give a certain impression of reality. Christopher Green points out the similarities to the angular heads Picasso had produced during the months spent in Céret with Eva, and Douglas Cooper suggests that certain elements — such as the moustache, pipe and fur collar — denote of a distinguished personality who even displays the prestigious badge of the Légion d’honneur on his lapel. This may explain why Palau i Fabre calls the work Cabeza de hombre con pipa (El elegante) (Head of a Man with Pipe [The Elegant One]). 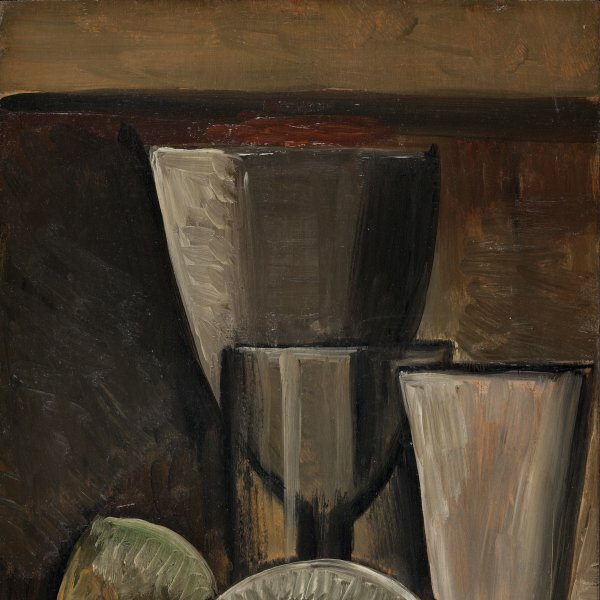 The early provenance of the painting is unknown, though before 1953 it belonged to the Galerie Jeanne Bucher in Paris, which opened in 1925; it was owned by G. David Thompson of Pittsburgh and the Leumann collection in Turin before entering the Collection.